What if your whole online experience is just Facebook? 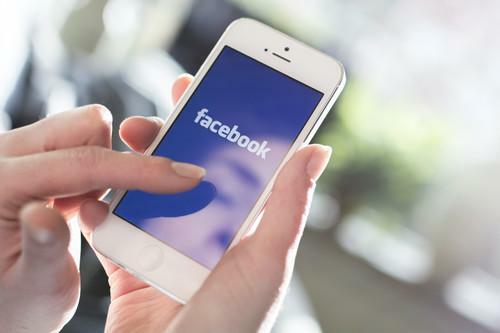 It doesn't seem so long ago that analysts were fretting over Facebook's mobile playbook, but now the social media giant is monetizing a user base that is increasingly on smartphones and tablets. In reporting its financial results Wednesday, it said that a solid majority of its advertising revenue for the first quarter came from users on mobile devices, the New York Times reports. Google is stepping up its efforts make its Chrome browser and Chromebook computers central to the workplace, it said Wednesday. It will let Chromebook users access files stored on the Box cloud services as easily as they can access Google's own services. And for its part, Box wants to move beyond its legacy as a storage, sync and sharing service and toward its higher calling as a platform company, with a new Developer Edition that will allow enterprises to build applications on top of its service without using the Box user interface or requiring users to have a Box account. As expected, Google took the wraps off its own-brand mobile phone service Wednesday, and it's an MVNO offering with a twist. Called Project Fi, it combines traditional wireless service from Sprint and T-Mobile with Wi-Fi, using about a million wireless hotspots, the New York Times reported. It's only available to users of Google's Nexus 6 phone, though, and costs $20 per month plus $10 per gigabyte of data. The hackers who got into White House and U.S. State Department systems last year used malware that bears strong similarities to cyberespionage tools suspected to be of Russian origin, say researchers from Kaspersky Lab. The malware has a lot in common with tools used to attack NATO members and European governments over the past two years; Moscow-based Kaspersky didn't say it, but others believe those tools are the work of the Russian government. Legislation that encourages sharing of cyberthreat information passed the U.S. House in a 307 to 116 vote on Wednesday, despite concerns that the law could expose consumers' private information. The Protecting Cyber Networks Act shields companies from customer lawsuits when they voluntarily share data on hacks. Privacy advocates also have concerns about the National Cybersecurity Protection Advancement Act, which is scheduled for a vote on Thursday. If that passes as well, the two bills will be combined and sent on to the Senate. Electric-car maker Tesla Motors knows something about battery technology, and now it's aiming to bring that to consumers and utilities in a new way. Next week it will announce battery lines aimed at those markets, to make it easier to store power from renewable sources like solar panels, Computerworld reports. What's next for Moore's law on its 50th anniversary? Chip analyst David Kanter lays out some ideas for how Intel can keep up the growth in processor power.